Match ends, FC Schalke 04 0, RB Leipzig 1. Second Half ends, FC Schalke 04 0, RB Leipzig 1. Attempt missed. Jeffrey Bruma (FC Schalke 04) right footed shot from the right side of the box is too high. Assisted by Breel Embolo following a set piece situation. Steven Skrzybski (FC Schalke 04) wins a free kick on the right wing. Bastian Oczipka (FC Schalke 04) is shown the yellow card for a bad foul. Marcel Sabitzer (RB Leipzig) wins a free kick on the right wing. Substitution, RB Leipzig. Nordi Mukiele replaces Timo Werner. Attempt missed. Guido Burgstaller (FC Schalke 04) left footed shot from the centre of the box is just a bit too high. Ahmed Kutucu (FC Schalke 04) wins a free kick on the right wing. Foul by Amadou Haidara (RB Leipzig). Substitution, FC Schalke 04. Steven Skrzybski replaces Suat Serdar. Attempt missed. Willi Orban (RB Leipzig) header from the right side of the box is too high. Assisted by Marcel Halstenberg with a cross following a corner. Corner, RB Leipzig. Conceded by Suat Serdar. Attempt blocked. Amadou Haidara (RB Leipzig) left footed shot from outside the box is blocked. Attempt missed. Yussuf Poulsen (RB Leipzig) right footed shot from the right side of the box is too high. Assisted by Timo Werner. Marcel Halstenberg (RB Leipzig) wins a free kick in the defensive half. Attempt blocked. Guido Burgstaller (FC Schalke 04) left footed shot from a difficult angle on the right is blocked. Attempt blocked. Ahmed Kutucu (FC Schalke 04) right footed shot from long range on the left is blocked. Foul by Tyler Adams (RB Leipzig). Substitution, RB Leipzig. Amadou Haidara replaces Kevin Kampl. Attempt missed. Suat Serdar (FC Schalke 04) left footed shot from outside the box is just a bit too high. Substitution, FC Schalke 04. Guido Burgstaller replaces Mark Uth. Attempt saved. Weston McKennie (FC Schalke 04) header from the centre of the box is saved in the top centre of the goal. Breel Embolo (FC Schalke 04) wins a free kick in the attacking half. 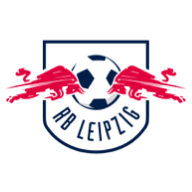 Yussuf Poulsen (RB Leipzig) wins a free kick on the left wing. Attempt missed. Weston McKennie (FC Schalke 04) header from the right side of the box is close, but misses to the right. Assisted by Matija Nastasic. Substitution, RB Leipzig. Konrad Laimer replaces Emil Forsberg. Attempt missed. Mark Uth (FC Schalke 04) right footed shot from the centre of the box misses to the right. Assisted by Suat Serdar with a cross following a set piece situation. Breel Embolo (FC Schalke 04) wins a free kick on the left wing. Hand ball by Mark Uth (FC Schalke 04). Foul by Emil Forsberg (RB Leipzig). Attempt missed. Salif Sané (FC Schalke 04) left footed shot from outside the box misses to the left. Assisted by Ahmed Kutucu. Substitution, FC Schalke 04. Ahmed Kutucu replaces Sebastian Rudy. Attempt missed. Marcel Sabitzer (RB Leipzig) right footed shot from the left side of the box is too high. Marcel Halstenberg (RB Leipzig) is shown the yellow card for a bad foul. Corner, RB Leipzig. Conceded by Salif Sané. Attempt blocked. Ibrahima Konaté (RB Leipzig) header from very close range is blocked. Assisted by Marcel Halstenberg with a cross. Corner, RB Leipzig. Conceded by Sebastian Rudy. Attempt blocked. Marcel Sabitzer (RB Leipzig) right footed shot from outside the box is blocked. Assisted by Tyler Adams. Attempt saved. Breel Embolo (FC Schalke 04) right footed shot from the left side of the box is saved in the bottom left corner. Assisted by Sebastian Rudy. Second Half begins FC Schalke 04 0, RB Leipzig 1. First Half ends, FC Schalke 04 0, RB Leipzig 1. Attempt missed. Timo Werner (RB Leipzig) header from the centre of the box is too high. Assisted by Emil Forsberg with a cross following a corner. Corner, RB Leipzig. Conceded by Matija Nastasic. Ibrahima Konaté (RB Leipzig) wins a free kick in the defensive half. Attempt saved. Emil Forsberg (RB Leipzig) right footed shot from outside the box is saved in the bottom right corner. Assisted by Marcel Halstenberg. Attempt missed. Benjamin Stambouli (FC Schalke 04) right footed shot from outside the box is too high. Attempt missed. Mark Uth (FC Schalke 04) header from the right side of the box misses to the right. Assisted by Sebastian Rudy. Attempt missed. Yussuf Poulsen (RB Leipzig) right footed shot from the left side of the box is close, but misses to the right. Assisted by Emil Forsberg. Attempt missed. Timo Werner (RB Leipzig) right footed shot from outside the box is too high. Assisted by Lukas Klostermann. Attempt missed. Kevin Kampl (RB Leipzig) left footed shot from outside the box is too high. Assisted by Marcel Sabitzer. Attempt saved. Mark Uth (FC Schalke 04) left footed shot from the centre of the box is saved in the centre of the goal. Assisted by Sebastian Rudy with a through ball. Marcel Halstenberg (RB Leipzig) wins a free kick on the left wing. Attempt blocked. Marcel Sabitzer (RB Leipzig) right footed shot from outside the box is blocked. Assisted by Yussuf Poulsen. Attempt missed. Salif Sané (FC Schalke 04) right footed shot from the centre of the box is too high following a set piece situation. Benjamin Stambouli (FC Schalke 04) wins a free kick in the attacking half. Foul by Kevin Kampl (RB Leipzig). Weston McKennie (FC Schalke 04) wins a free kick on the right wing. Attempt missed. Marcel Sabitzer (RB Leipzig) left footed shot from the centre of the box misses to the left. Assisted by Marcel Halstenberg. Goal! 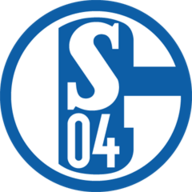 FC Schalke 04 0, RB Leipzig 1. Timo Werner (RB Leipzig) right footed shot from very close range to the bottom left corner. Attempt saved. Yussuf Poulsen (RB Leipzig) right footed shot from the centre of the box is saved in the top right corner. Assisted by Kevin Kampl. Attempt saved. Kevin Kampl (RB Leipzig) right footed shot from the left side of the box is saved in the centre of the goal. Attempt blocked. Sebastian Rudy (FC Schalke 04) right footed shot from the centre of the box is blocked. Assisted by Bastian Oczipka. Emil Forsberg (RB Leipzig) wins a free kick in the defensive half. Corner, RB Leipzig. Conceded by Jeffrey Bruma. Attempt missed. Mark Uth (FC Schalke 04) left footed shot from outside the box is high and wide to the left. Offside, FC Schalke 04. Sebastian Rudy tries a through ball, but Mark Uth is caught offside.